Win VIP tickets to Fly Open Air at Hopetoun House! 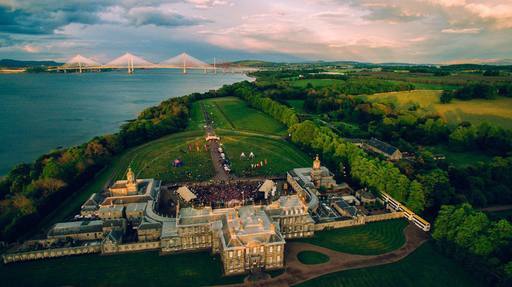 Scotland’s leading house and techno festival FLY Open Air returns to the regal setting of the Hopetoun House stately home just outside Edinburgh on Saturday 18 and Sunday 19 May for its biggest party to date. Having expanded from one to two days in 2018, the May festival will see Diynamic label boss Solomun headline, making his first Scottish appearance for over ten years. Pioneering acts Nina Kraviz, Peggy Gou, Sven Väth and many more are also on the bill, with FLY Open Air’s distinctive combination of breathtaking location and unrivalled line-up making it a must-visit event for electronic music fans in 2019. Which FLY Open Air artist is returning to play in Scotland for the first time in over ten years?